Chestnuts are a hearty and delicious winter treat! Not only are they easy to make, but also offer many wonderful healthy benefits, being high in fibre, healthy fats, vitamin C, and are low on the glycemic index. With a sharp knife, make an X-shaped cut on the round side of each chestnut. This will prevent them from exploding in the oven. Arrange the cut chestnuts on a baking sheet and bake for 15-20 minutes or until the skin starts to pull away from the X-shaped cuts and the meat inside is tender. 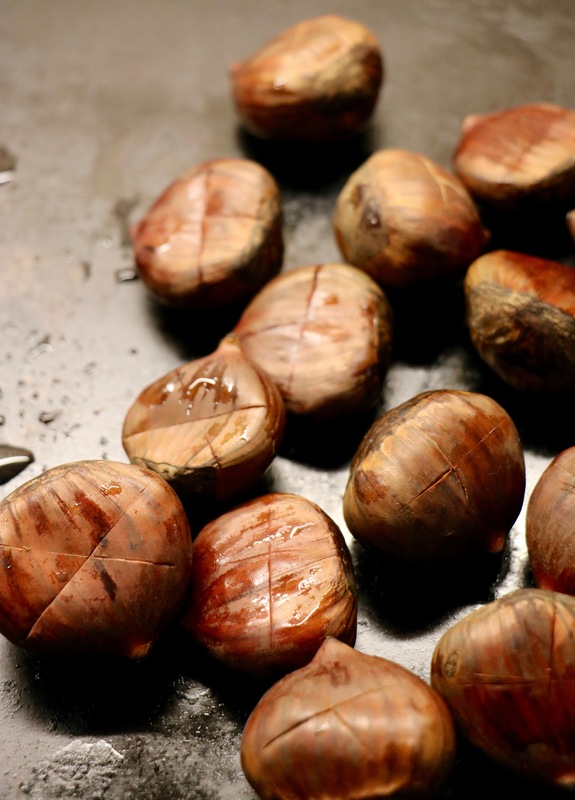 Remove the chestnuts from the oven and let them cool for a few minutes. 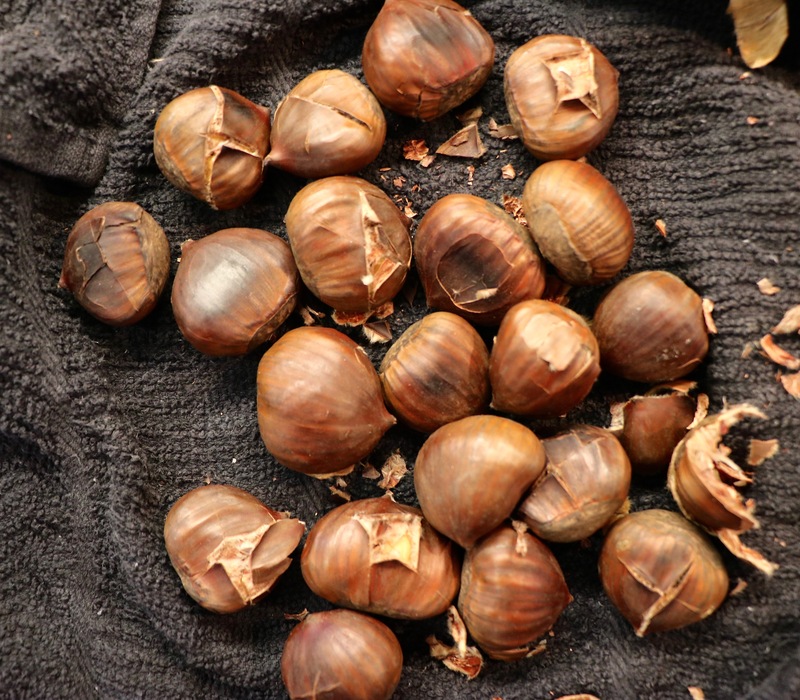 Wrap the chestnuts in a towel and squeeze them hard hard enough so that they crack. Let the chestnuts cool for a few minutes before peeling and eating.